We wish you and your family a Happy, Healthy and Prosperous New Year 2012. 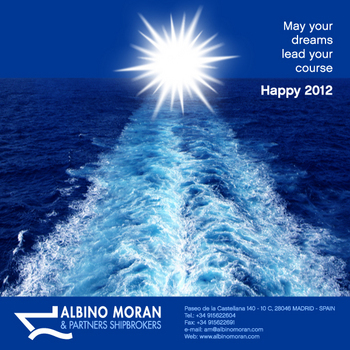 Thanks you for your support and cooperation during 2011 and wishing you all the best for the coming year. Os deseamos un Feliz y Próspero Año 2012. Muchas gracias por vuestro apoyo y colaboracion este año. Nuestros mejore deseos para el 2012.